Maybe you've already noticed a figure of bearded man with a scary but attractive face settled on the roofs of machiya, traditional wooden buildings in Kyoto? 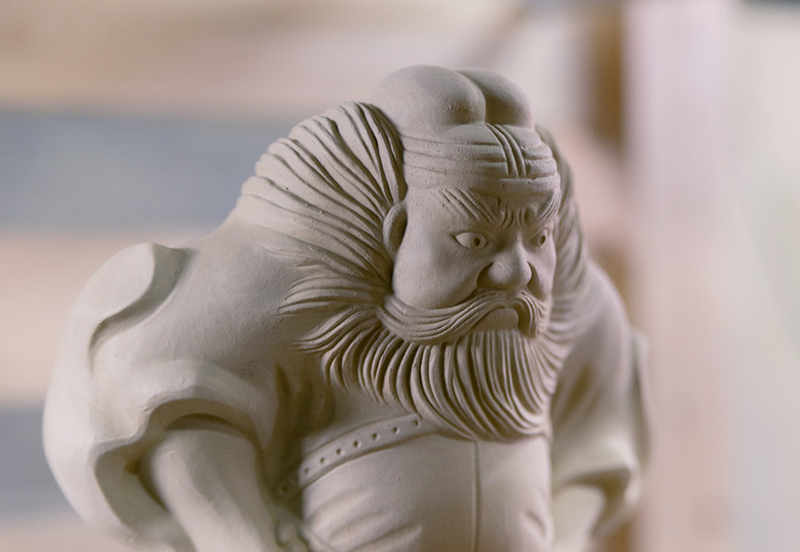 In fact, this guardian deity called Shoki-san is made of roof tile clay. Learn the secrets of Kyo-gawara making from 3rd generation master craftsman, the last producer of traditional handmade tiles, and make your own one and only Shoki-san molded with clay. The artisan will fire it in a kiln and send it to you one month later. ※The payment by cash on delivery in Kansai region will cost 740 yen. ※Those who wish Shoki-san to be delivered overseas, please consult the factory. ※Shoki-san can also be retrieved at the factory.